Our kind Sponsors and Partners have enabled us, Rotary Club Szczecin Pomerania, to organise two big charity events last year ? the 6th Annual International Rotary Golf Tournament and the 2nd Annual Charity Concert ?Talents of Szczecin”. It is our pleasure to inform that we have finalised the purchase of specialist medical equipment for the Children?s Hospital in Szczecin (2 cardio-monitors and an equipped trolley for transporting patients) and the Military Hospital in Szczecin (an incubator). 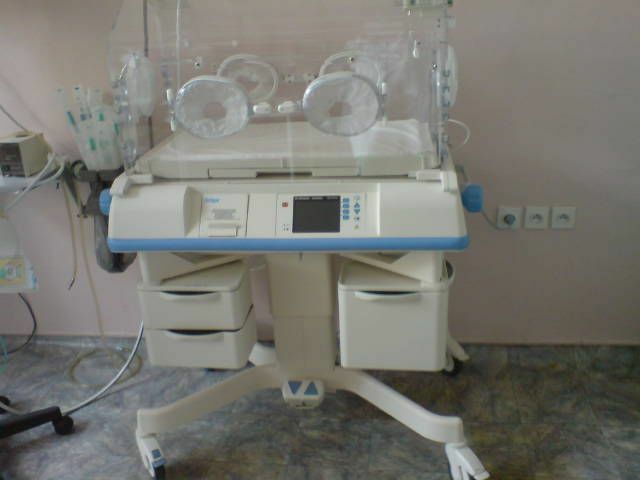 All the equipment has been already installed at both hospitals. The official hand-over ceremony was held on March 2nd, 2009 at the Radisson SAS hotel in Szczecin (Vivaldi Hall). After a brief presentation of our Club?s history, the representatives of both hospitals and the vice-president of Szczecin, Mr. Tomasz Jarmoliński, expressed their appreciation to Rotarians. During the ceremony we also organized for our guests a short performance of young, talented Szczecin musicians.